Feel the well-balanced rich complex sweet and bitter taste of this ancient tree raw Puerh. This Xi Gui raw pu-erh is quite unique and varied in its taste. 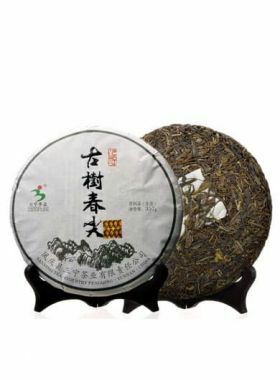 Perhaps you are more familiar with the typical bold, unconstrained tastes of raw pu-erh tea, or the milder, gentler characteristics of our wild tree pu-erh - this Xi Gui is a combination of both. The first few steeps come out with a rich aroma and clean sweetness underlined by just a touch of bitterness, followed by a lingering sugary aftertaste. The tea liquid carries that same sweet, rich fragrance, and lingers wonderfully in the throat. After about seven or eight steeps, the taste becomes more tender and mild, and starts to show a light, mellow orchid fragrance. Xigui Village lies in the eastern area of the Bangdong region. BOunded by Lancang River on the west, this village sits along a large altitude gradient of 3,300 meters at its western boundary to only 800 meters at its east. 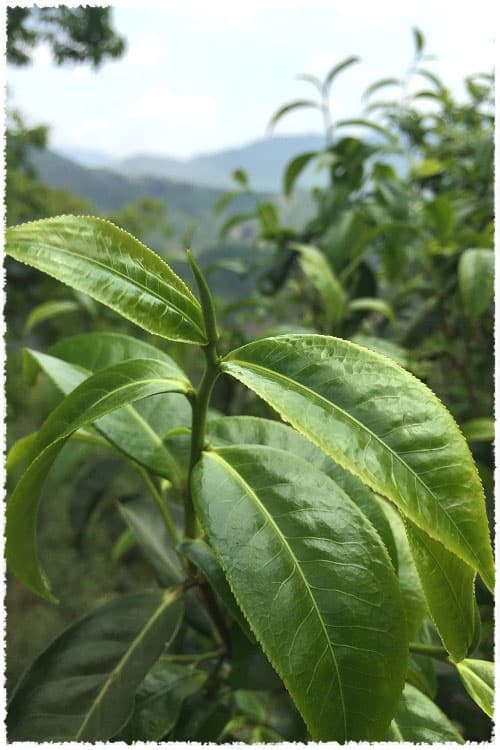 This is uncommon in Yunnan province, and as a result establishes the village as one of the most precious and treasured production areas for pu-erh tea. The average temperature here is about 21℃, and it receives about 1200mm of rainfall a year. 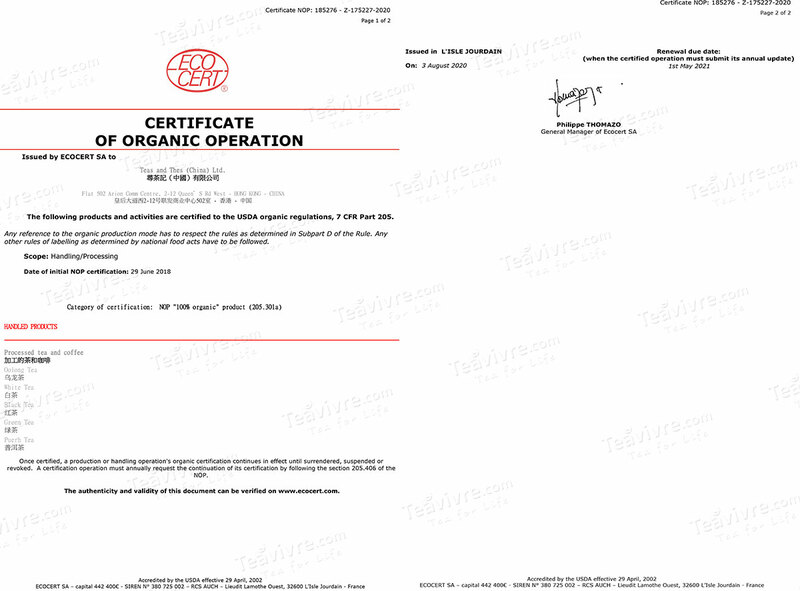 All of these conditions are favorable towards crop growth. Most of the ancient tea trees in Xigui are grown in the old forest here, with some trees up to 200 years old. 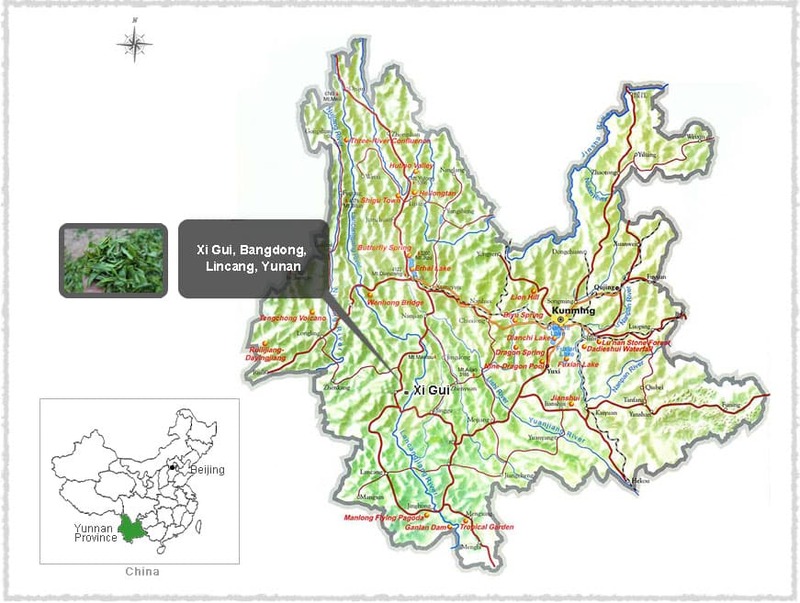 By 2012, Bangdong Township had more than 3,570 acres of tea gardens in total, including 1,275 acres of precious ancient tea gardens. The Bangdong large-leaf species is an arbor type of tea tree, and is quite large. Originating in Bangdong County, Lincang, these trees can grow up to 9 meters high, and contain a high amount of tea polyphenols and catechins. 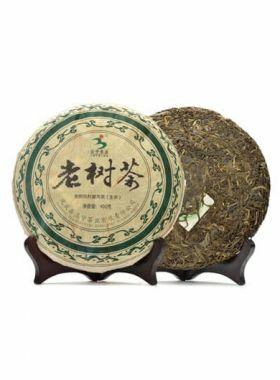 The spring one-bud, two-leaf tea contains 2.8% amino acids, 28.3% polyphenols, 4.4% caffeine, 18.5% catechins, and 46.4% water extractives. The tea leaves used to make this cake were carefully selected and picked from trees of this variety, about a hundred years old. These trees are grown entirely naturally, without any fertilizer or pesticides used and only manual trimming and care techniques.